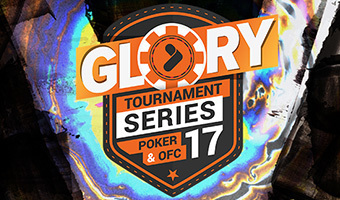 Given the flashy name – The Glory Tournament Series – you‘d expect that this event is a pretty big deal. According to TonyBet‘s poker team, it‘s the biggest annual tournament series that they hold, so that alone means there‘ll be a bit of thought put in the whole shebang. Now one of the reasons you may have heard of this poker room is the fact that they were the first ones to launch online Open Face Chinese poker; and if it‘s something you haven‘t tried out before you can give it a go and the upcoming Glory Series. It‘s going to be a mix of traditional Hold‘em and Omaha games along with several OFC styles – and that‘s something you really don‘t see every day. By which I mean, of course, it‘s the first time you could possibly be seeing this. The buy-ins start at €5 if you‘re into casual play, but it goes up to a €100 for the two main events (Poker & OFC) on March 12th with GTDs that more than compensate the price. There will also be mini versions of the final events with €20 buy-ins if you just want to have fun and aren’t into investing big chunks of cash. All in all, the daily tournaments have a good variety of buy ins, going from small to mid-range. Another fun bit is that there‘s also going to be a leader board, so if you haven‘t had much luck topping those Candy Crush charts you get to have a go at becoming one of the Top 20 players of the Glory Series. That means everlasting magnificence for you, and also a bite out of the €5,000 cash prize the leaders will be splitting. If this got your attention, you can go and check out the satellites to the main series’ events right now – or you can go back to looking for your eternal glory on the Internet. Either one is a pretty decent bet if you ask me! The Glory Series is not for poker millionaires, but you gotta start somewhere, and the buy-ins are ideal for a middle-of-the-road bankroll.